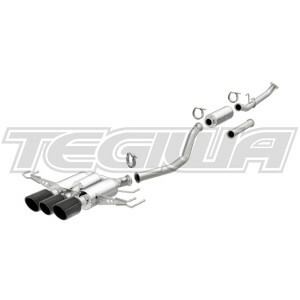 MagnaFlow got its start as a natural extension of Car Sound Exhaust, the parent company to MagnaFlow. Car Sound Exhaust specialises in superior catalytic converters and performance exhaust technology, and has been doing so for the past 35+ years, earning their reputation as an international market leader. As a market leader, MagnaFlow proudly manufactures products in the USA from their Oceanside, California facility, using the best available components and the latest technology to ensure the highest levels of performance and longevity. 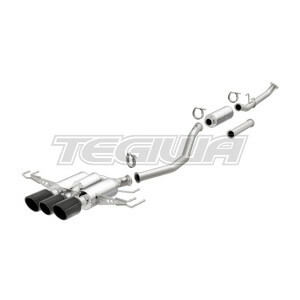 Product offerings range from direct-fit catalytic converters and full performance stainless exhaust systems, to universal mufflers and builder’s kits which can be used to fabricate an exhaust for any application. As an ISO-9001 certified company, MagnaFlow stands behind its ability to perform and backs it up with a lifetime warranty.